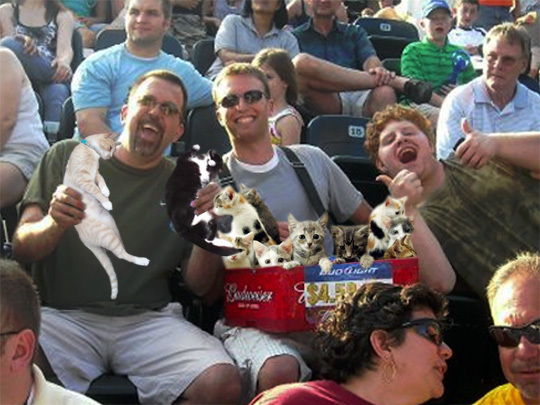 Boozecats.com now has vendors at the ballpark! Mike here used to sell peanuts, but is loving the new job. He can't throw the Boozecats to the customers like he did with the peanuts, but he gets to meet more interesting people this way. Everybody wins! Except whoever the Phillies are playing that day. That team is going to lose.